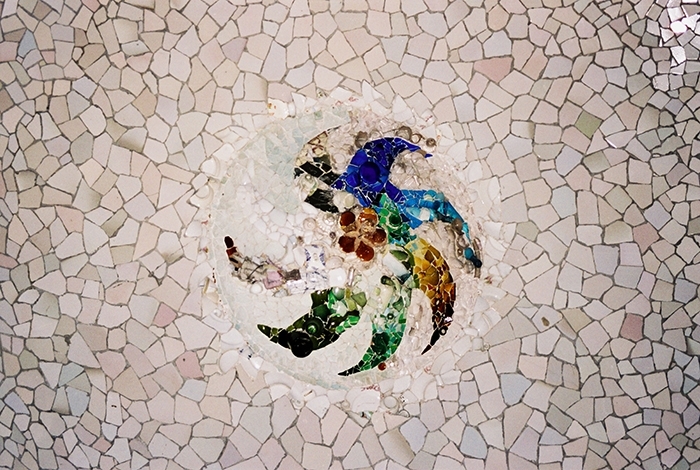 Antoni Gaudi is the famous architect and mosaic wizard of Spain. 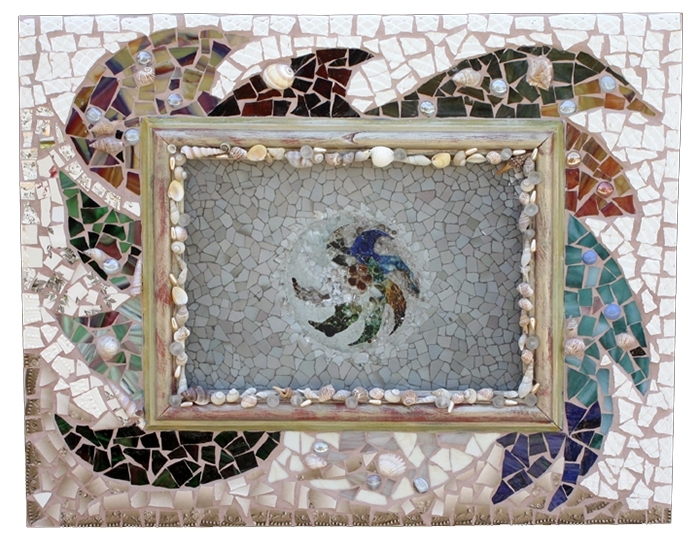 His work is breath-taking and as an artist who uses mosaics, I was inspired. This piece is a photo detail of one of his pieces in Parc Guell with my interpretation of a frame that pulls the piece out to create a scultptural photograph.